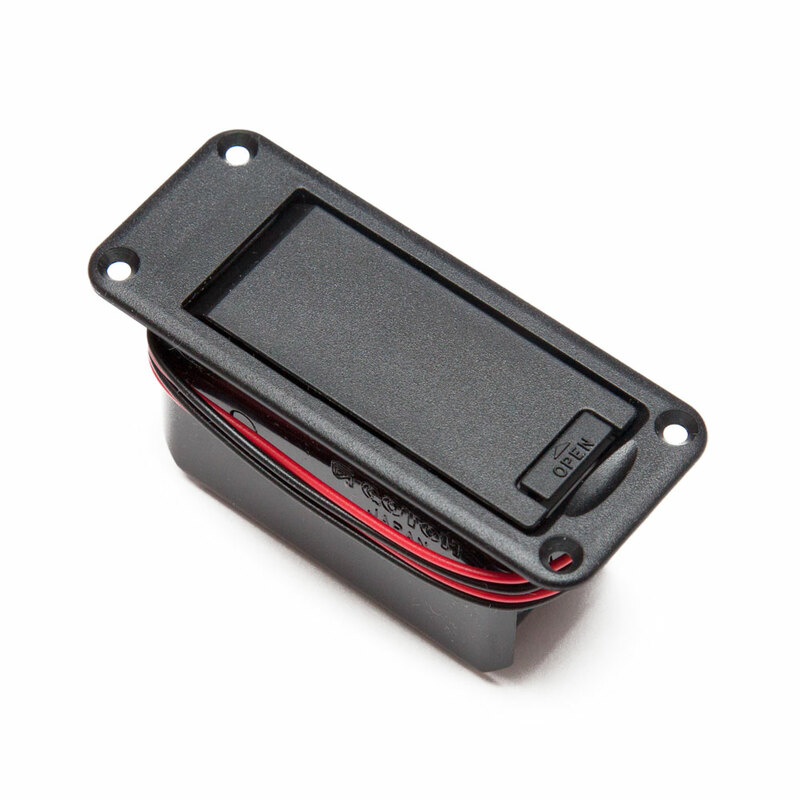 The Gotoh BB-04 battery box fits a single 9V battery, when changing the battery, the holder tilts the battery up, out of the guitar giving good access to the battery and allowing quick and easy changes. It comes with built in connection terminals and lead wires. The battery box mounts to the guitar body with screws (included).